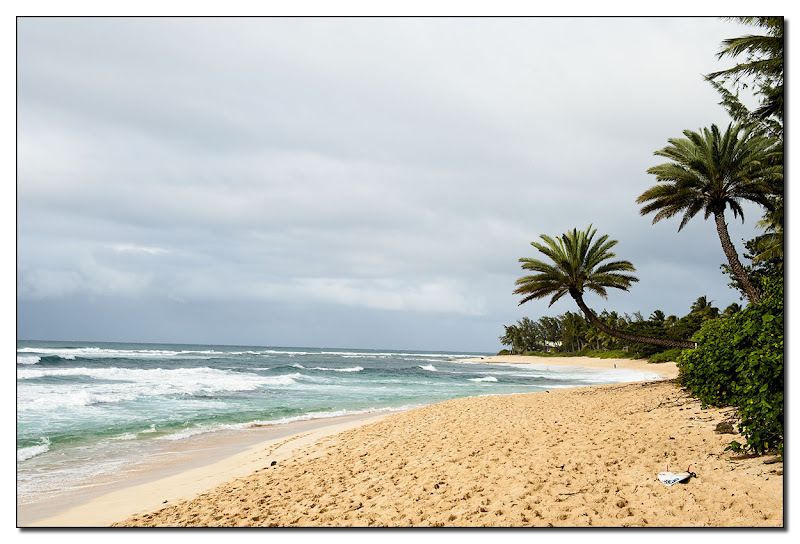 Two beaches a few miles apart on the North Shore of Oahu. I couldn't choose between the color or B&W version of the second beach, so I present both of them. Oh , la la! Que c'est beau! 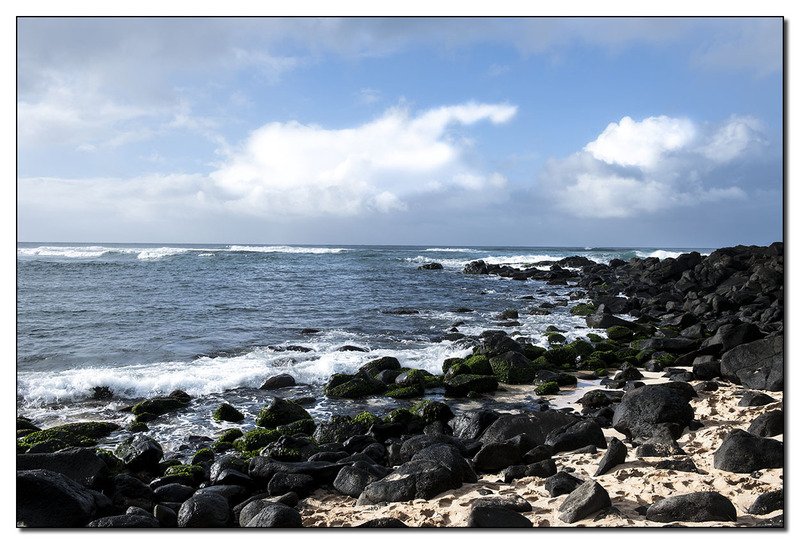 !I like the hawaian language , "Oahu" sounds like a promise of paradise . . The color is "tourist" ,the B&W is more about dream .. When I saw the thumbnail I thought, 'That's not Boston!' Both are lovely shorelines. I prefer the color version of the last pic since it brings out the green moss. That beach looks very inviting. Two great beaches, very different. I like the comparison. I rarely favor black and white over color. And I don't favor it here, either. So nice feeling of Summer seeing your wonderful pictures. Oh! I love the contrast! I think I prefer the colour photo because of the deep greys and blues. And I think I'd spend far more time on the sandy beach but would love to sit and contemplate on the pebble beach.